Bamboo pu-erh is a fairly pricey treat in the world of pu-erh devotion. So we thought finding out a bit more about it and why that price, at least on some vendor sites, can be so astronomical. 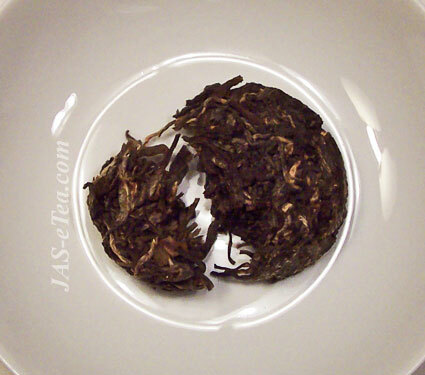 Here are 5 facts about this style of pu-erh that should help bring some clarity here. The version we carry is the raw kind, but we have seen a number of ripe pu-erhs around that have been packed into bamboo stalks. The raw version has a noticeable bamboo aroma that carries through to the dark yellowish liquid. The ripe version is said to be “pre-aged” before being packed into a bamboo stalk to age further and tends to have a fragrance that is described as peaty with a hint of lemongrass, and a flavor reminiscent of sweet eucalyptus, holding up through multiple infusions. The Dai people call a tropical rainforest in Xishuangbanna their home. This area is at the southern end of Yunnan Province and borders Laos and Myanmar (formerly Burma). Offering bamboo pu-erh tea is considered good etiquette among the Dai people when receiving guests. And they certainly have no shortage of bamboo. The Lahu tribes are in the same general area. Both groups have been making this tea for around 200 years. 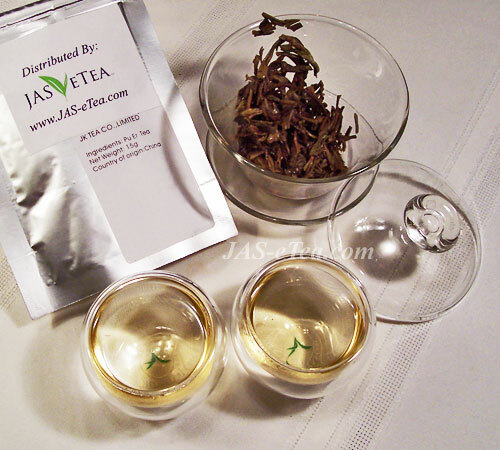 They use the young leaves from large leaf varietals. It’s nicknamed “Maiden Tea” by the Dai people and “Wajihnal” by the Lahus. Our friend Jennifer Jiang kindly let us use her photos here so you can see how this style of pu-erh is made. Click on one of the images and scroll through them; press ESC to return to this page. The fresh fragrant bamboo is the best for making bamboo tube tea. This way, you get that fresh bamboo aroma, part of the appeal of this tea. The upper bamboo section is cut off and the lower section is used as the bamboo tube. Put the leaves inside the fresh bamboo tube and cook it directly on the wood stove, turning it around every several minutes to heat it evenly. The heat will soften and shrink the máochá a bit, so you need to keep pressing it down and adding more. 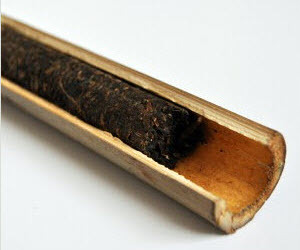 To make 500 grams of bamboo pu-erh tea, you need to put máochá inside the tube and press it down about nine times. When the outer wall of the bamboo tube turns from green to yellow, it indicates that the baking process is almost complete. Remove from the fire and let it cool down. Once cooled, you can then peal the bamboo. After peeling the bamboo, it is put inside the heating room for at least 72 hours so the tea inside can be completely dry. The tea inside the bamboo has fully absorbed the bamboo’s unique fragrance and juice after burning it on the stove. It is also why the liquid has a sweet tea taste with little astringency or bitterness. 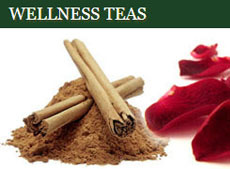 The tea also stores well and will continue to age somewhat. 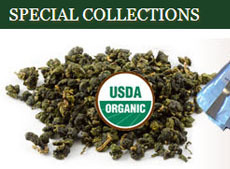 As is so often the case with special teas, the vendor makes the difference. With this style of tea, it’s even more true. Cheap knockoffs abound (but not always at a cheap price). 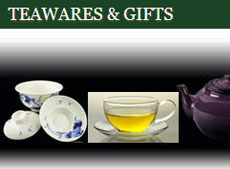 You could buy some bamboo pu-erh, pay a fortune, and end up with junk. 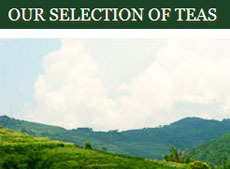 Or you can pay a more reasonable price and have some of the best pu-erh you’ve ever tasted. This entry was posted in For Pu-erh Devotees and tagged bamboo pu-erh. Bookmark the permalink.